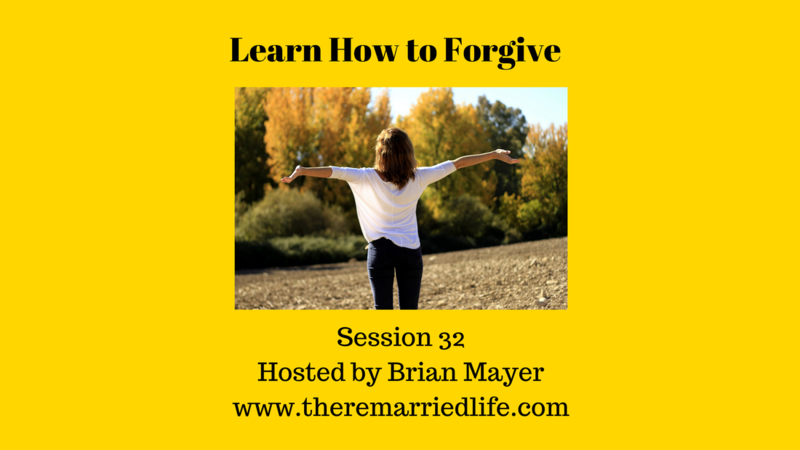 Forgiveness in relationships is one of the hardest concepts to teach and learn. It also one of the most difficult to feel fully accepting of whether you are asking for forgiveness or seeking to receive it. Forgiveness myths include: Simply saying “I forgive you” but it is not really genuine, Forgetting, Condoning Behavior, Moving on, and Trusting. These are not forgiveness, but often are either confused for forgiveness or the belief that they are all part of what forgiveness is. Forgive in the Greek means to literally to send away from one’s self, to hurl away, or to leave behind. It can also mean that something is no longer owed. It can be described as simply letting someone off the hook and that there will no longer be a continued emotional or mental punishment for the offense. Let’s turn to the Bible to see what it says about forgiveness. But before I begin we need to be clear that our forgiveness as human beings is not like God’s forgiveness. God’s forgiveness is complete, immediate, and he does not take his forgiveness back. After discussing what the Bible says, why is it not easy for us to forgive. It is definitely not. Also before I get into the difficulty in forgiving, let me say that if you are in an emotional, physical, or sexually abuse relationship your safety trumps everything and you must work to leave the situation if you are in danger. We may feel like we forgave one day, and then wake up the next and have bitterness and complete disdain for the person. Forgiveness is a process and it may take you time for it to fully take hold. When someone else keeps doing the same thing several times, forgiveness becomes more difficult. Again, if someone keeps doing the same things then again maybe it is not forgiveness that needs to be first but boundaries or distance may need to come first. Relationships are sometimes restored, but not always. You either have a positive or a neutral opinion of this person. The negative opinion has disappeared. You will have less stress, less depression, and less anxiety. You may have heard that unforgiveness is like taking a poison pill and hoping the other person dies. Or unforgiveness is like allowing the other person to live in your mind rent free. An excellent movie showing the power of forgiveness is called Unbroken – The Louis Zamperini story. He was an American pilot who crashed into the Pacific while searching for another lost aircraft. He was captured by the Japanese and severely beaten for 2 years until the end of World War II. In 1950, after much prodding he decided to make a return visit to see his captors. He ultimately forgave them all for what they did to him. Forgiveness is not easy and is a process so don’t give up on it. You will receive a reward if you do choose to forgive.